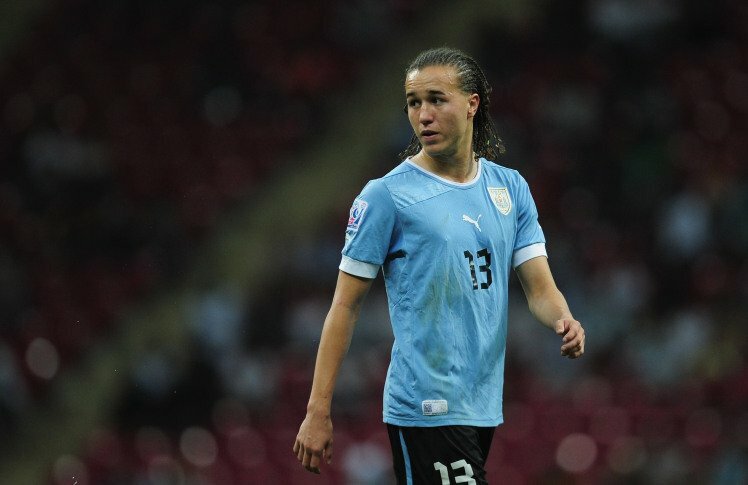 Everton target Genoa midfielder Diego Laxalt? Everton have allegedly earmarked Genoa midfielder Diego Laxalt as their top summer transfer targets, according to The Sun. The Toffees are keeping close tabs on the 25-year-old playmaker, who impressed for Uruguay at the FIFA World Cup 2018 in Russia. Bournemouth are also said to be interested in signing the Uruguayan, but the Merseyside outfit would fancy their chances of leading the race for the midfielder’s signature. Due to Laxalt’s versatility, it will be a huge attraction for Toffees boss Marco Silva, and could try to lure the services of the highly-energetic South American to Goodison Park. The report adds that Genoa would be prepared to sell the midfielder for £18m, and Premier League outfit would have no objections meeting that price. Laxalt’s contract with Genoa is valid until 2022, and has scored three goals and provided three assists in 32 Serie A appearances last term.